Looking for admission in management courses, here is a golden opportunity to get admission directly in top colleges of India. Quality education is very important in everybody’s life and here in St. Joseph’s College Of Commerce, we assure you that. We are providing direct admission in St. Joseph’s College through management quota and vacant seats. St Joseph’s College Of Commerce believes in the Jesuit and the ideals of providing education to those students who are marginally poor. St. Ignatius Loyola is the founder of the Jesuit Order and the College runs under that order. The college believes in the idea of providing such quality education that the students have life skillsets . Students are just not trained in academics but also nurtured in such a way that they can lead their life in the right direction. St. Joseph’s College Of Commerce was established in 1882 and thus one of the oldest colleges in Bangalore with a history of more than 130 years. The College was co-founded by the Fathers of the French Missionaries. The college is located in Brigade Road, Bangalore, Karnataka. The college is accredited with A grade and is recognised by University Grants Commision. St. Joseph’s College Of Commerce is an autonomous and a private college under the Bangalore Jesuit Educational Society. Why To Take Admission In St. Joseph’s College Of Commerce? CAMPUS AND FACILITIES– College has a vast area covered by greeneries and a library. Library has all the latest editions and references. College has it’s own canteen and auditorium. College has separate admission block and examination block. College also have hostel facilities for students. Students have been provided wifi and computer labs so that they will be in touch with the latest development in their fields. STUDENT ACTIVITIES AND PROGRAMS- Many cultural festivals are organised solely by the students. Admission in St. Joseph’s College Of Commerce will not only ensures career growth but will also develop students in other cultural and art programs. 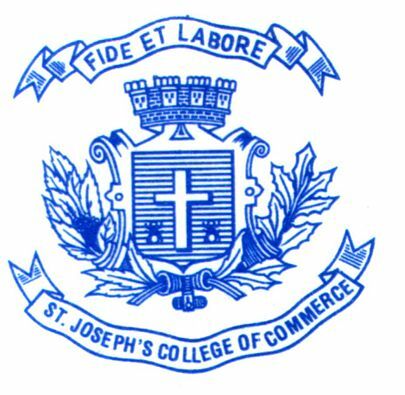 St. Joseph College Of Commerce has student council which holds election every year. Other programs and workshops are conducted such as “music and yoga day”, “investiture ceremony”, “Leadership camp”, “CIPHER”, “KALOTSAV”, “seminars for women” and many more. CAMPUS PLACEMENT AND SCHOLARSHIPS- College provides soft skills training and placement opportunities to students. Students get internship through college referral and build contacts with government, non- government organisations. Placement is held during September to february every year. Direct admission in St. Joseph’s College Of Commerce can help you further as the college gives scholarships on the basis of merit, to students who are financially weak. Some of the top recruiters are Deloitte, TESCO, KPMG global Services, Ernst & Young, UBS verify, DE Shaw and many others. ALUMNI MEET FOR STUDENTS- Every year St. Joseph’s College Of Commerce conducts alumni meet for it’s current students and passout batches. In alumni meet students are guided by their passout seniors. In these meets students get to know what further opportunities they have after graduation. These meets are important and fruitful as it help students to understand where they have to go further in their life. CERTIFICATE COURSE IN ENTREPRENEURSHIP DEVELOPMENT. These certificate courses are of 60 hour duration. For further details on direct admission in St. Joseph’s College Of Commerce you may contact us and we will help you in admission process.